Even though Futsal is played in over 100 countries, by more than 10 million participants, many people in the United States are unfamiliar with the game. 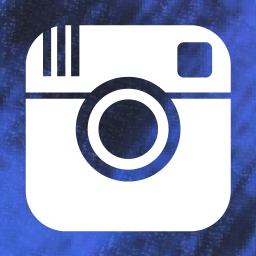 The following provides answers to several frequently asked questions. 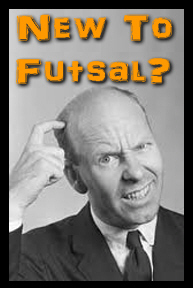 What is Futsal? Futsal is a version of indoor soccer that is played on a basketball style court. In futsal teams play 5 v 5 with 1 goalkeeper and 4 field players that interchange positions. The game is played with a special ball that is heavier and has less bounce than a regular soccer ball. These factors mean that players touch the ball far more than during outdoor or indoor arena soccer games. Futsal develops better foot skills and ball control. The court that the game is played on has no walls to assist players, instead they must use their skills and are punished for improper technique and errant passes. Where did it originate? Futsal originated in Uruguay and was quickly adopted throughout South America. It is now played all over the world and is growing rapidly in the United States. Why is it so great? Futsal is the ultimate game for helping players to develop skillful and creative tactics, foot skills, and ball control. Futsal is a fast-paced and exciting game that creates players that think quickly on the field and perform well under the pressure of a fast moving game. With on the field teams no larger than 5 vs 5, players are constantly involved in the action and touching the ball. What is the difference between Futsal and indoor soccer? Well, Futsal actually is indoor soccer! In the U.S., people are more familiar with a strange version of indoor soccer that is played on a soccer field surrounded by walls. Outdoor soccer fields don’t have walls, so why would you spend half the year learning how to play soccer with them?!?! Futsal Fact #1 - All of the world's greatest players grew up playing futsal and recognize the game of futsal as a major reason why they have such amazing footskills and the ability to think quickly in the pressure of a game. Pele, Maradona, Messi, Kaka, Xavi, Ronaldo, Robinho, Ronaldinho, Fabregas, are just some of the players that grew up playing futsal. Futsal Fact #2 - All of the top clubs in the world (Barcelona, Real Madrid, Chelsea, Manchester United...want me to continue) have their youth players playing futsal! In fact in Brazil most junior players don't play outdoor soccer until around age 13, instead the play futsal! Futsal Fact #4 - Ball Control - with limited space, boundary restrictions, and constant opponent pressure, futsal demands superior ball control, fast footwork and precise passing. Futsal Fact #5 - With no wall to help them out, players must move and support each other just like in outdoor soccer. This develops more tactically aware players, whose skills can be transferred to the outdoor game. With the absence of these walls players must also perform skills properly and accurately with poor technique and inaccurate passes being punished. Who Plays Futsal? Futsal originated in South America and was for a long time considered the South American secret behind why so many gifted players come out of this continent. Today Futsal is played all over the Globe by more than 10 million people in over 100 countries. When does the Futsal season start and end? - Well most people think that Futsal is a winter sport. This is a big mistake! Our Futsal programs run year round and those players that play futsal consistently throughout the year will become far more skillful and creative soccer players than if they only played the game seasonally. So what's the deal with those Brazilians and Futsal? Well, Brazil in particular is one country that embraces the game of Futsal and participants play the game year round. It is reported that in Brazil more youth players play Futsal than actual outdoor soccer....That's right, the nation that is recognized as having the most skillful and exciting soccer players also has a huge percentage of youth players taking part in Futsal! Who supports the game of Futsal? All of the major governing bodies of outdoor soccer around the world recognize Futsal as the official version of indoor soccer and FIFA (the world governing body of soccer) recognizes the game as the only version of indoor soccer that it sanctions! In England the English FA has just launched a huge initiative to get more youth players participating in the game due to the obvious benefits the game offers.